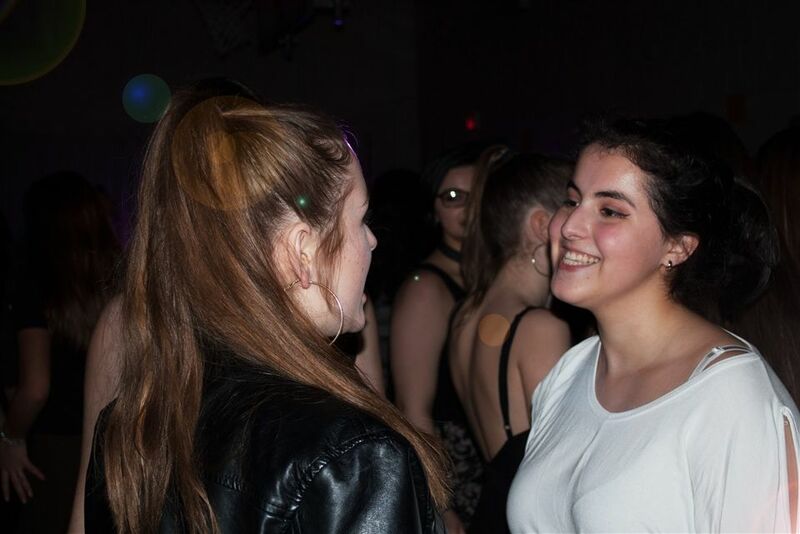 While Grier is an all-girls school, Grier students do have chances to meet and interact with young men. 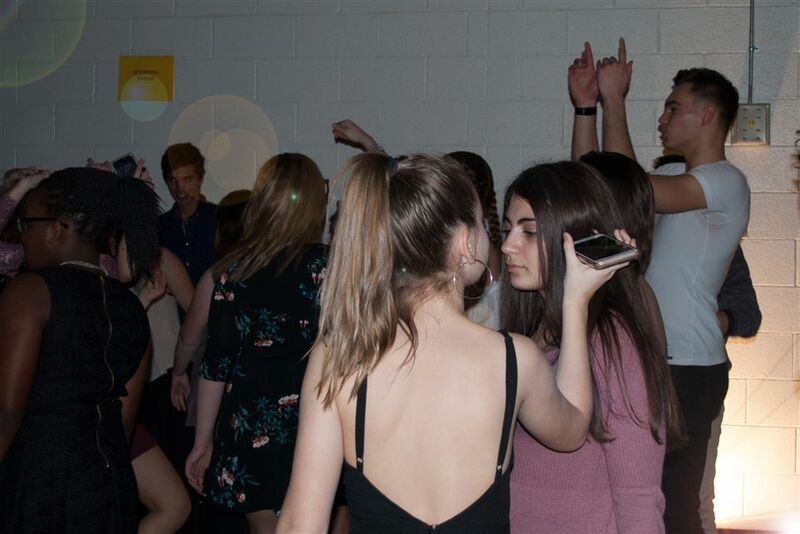 Grier and regional boys’ schools take turns organizing events such as school dances and social mixers so that young women and young men have the chance to meet in person. 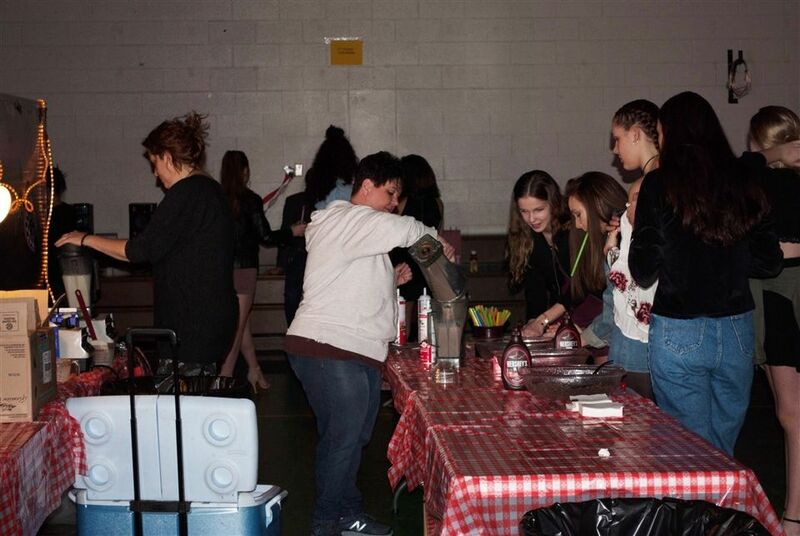 The schools also work together to coordinate trips to amusement parks, skiing, and shopping malls to give the students a chance to get to know one another. 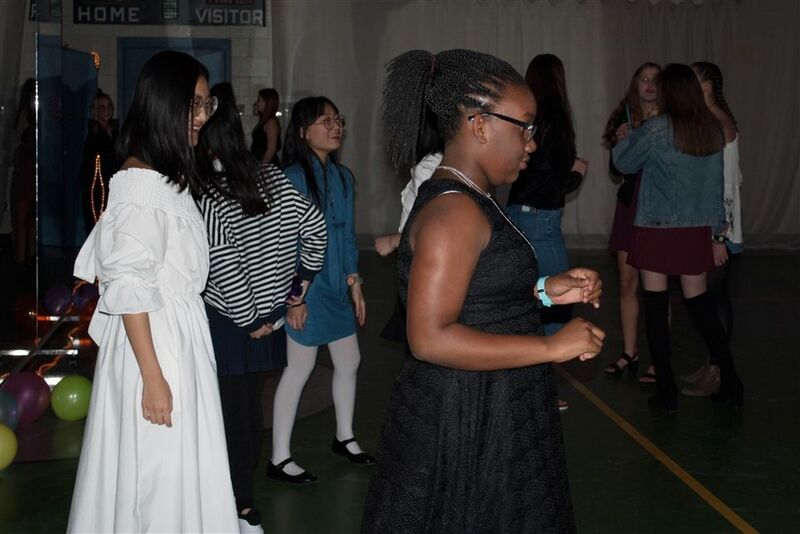 During the past school year, Grier hosted a 1950s sock-hop themed dance and invited boys from regional schools to join in the dancing, snacks, and socializing. Another time, a bus of Grier girls got dressed up for a semi-formal dance event at one of the boy’s schools. 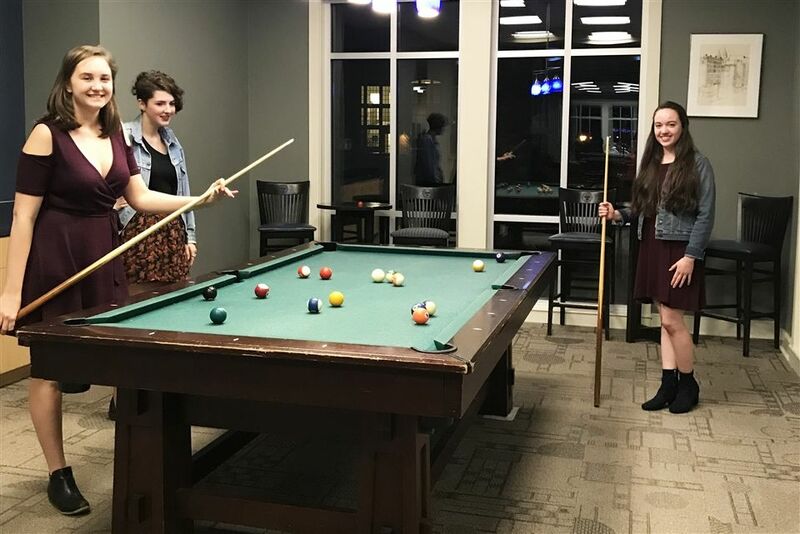 Social nights where the teens can talk and play social games like pool, are popular, too. 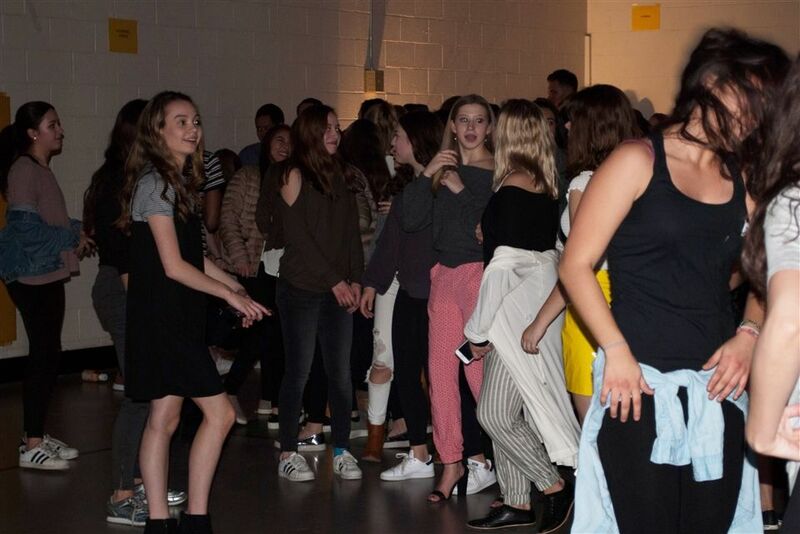 Boys joined the Grier girls for a casual dance at Grier. 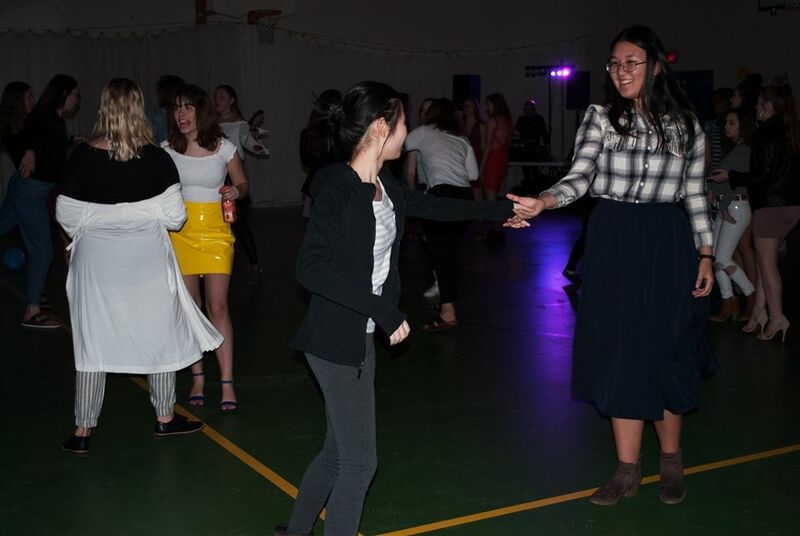 Grier girls having fun at the dance! 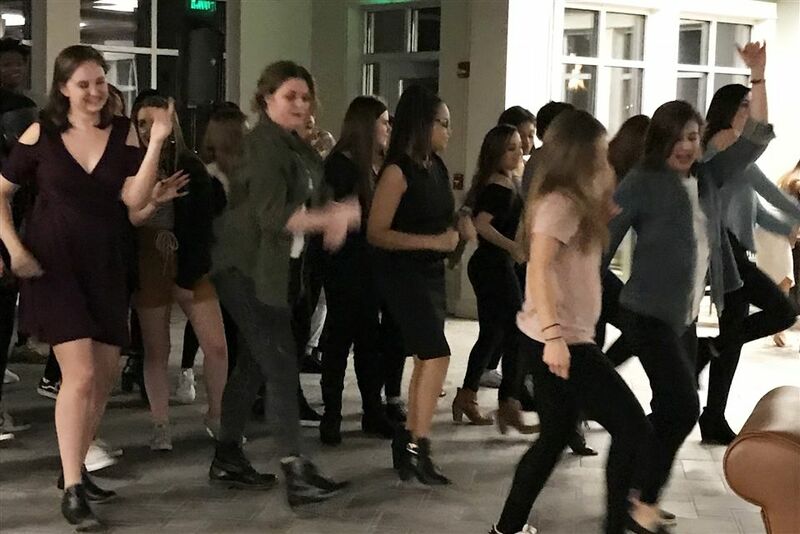 Boy's schools visited Grier for a dance. 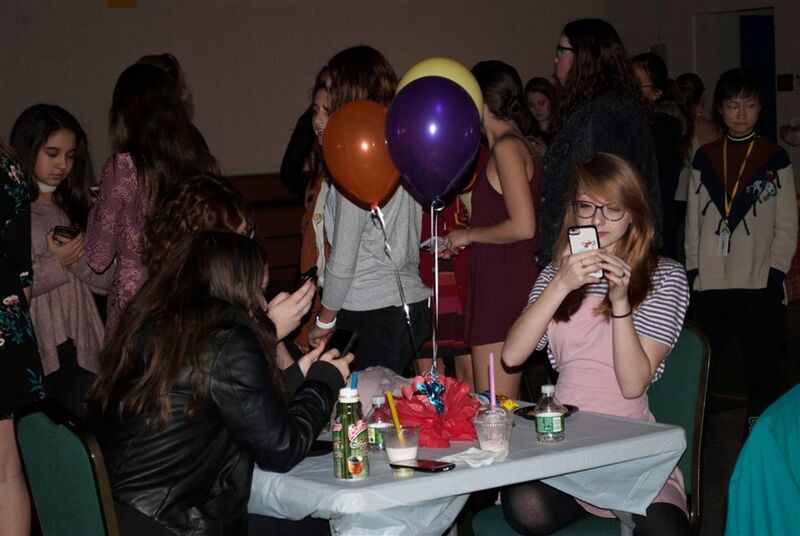 A social night with a boy's school in their campus rec center. 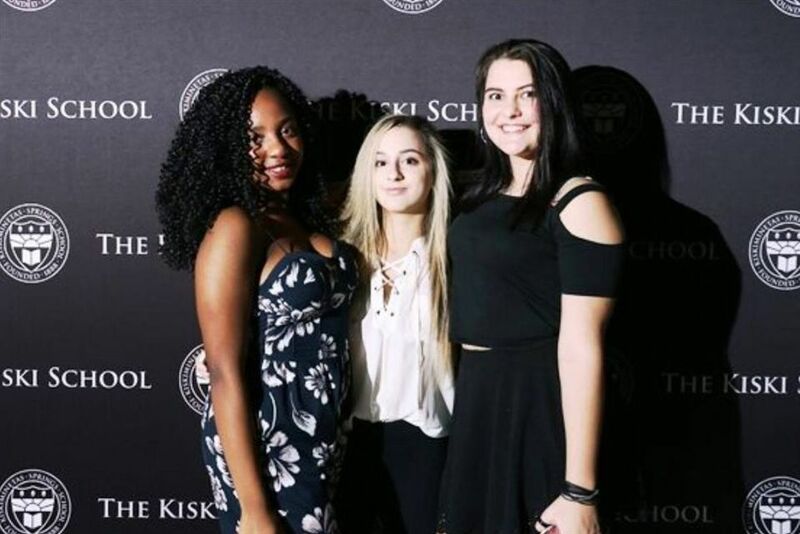 Chantelle, Sophia, and Lauren entering a semi-formal dance at a boy's school. 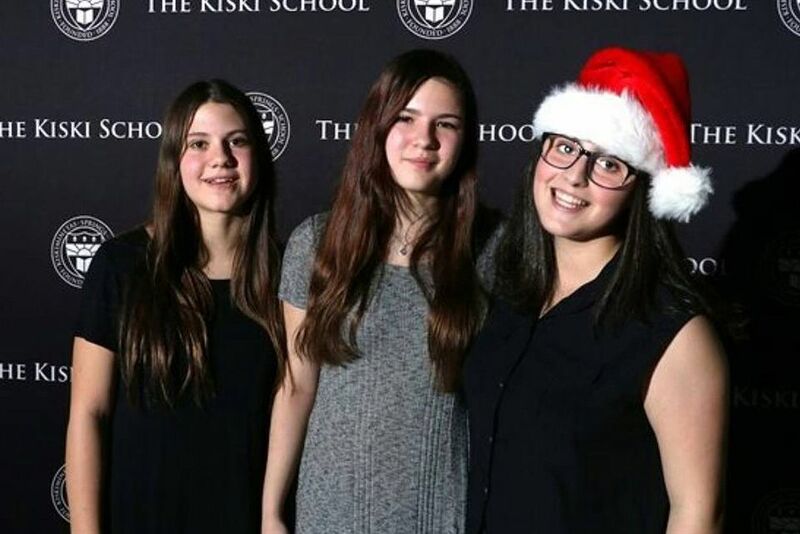 Lenox, Alexea, and Ana attend a holiday semi-formal dance at a boys school. Grier's wonderful Food Services staff serves blended beverages. 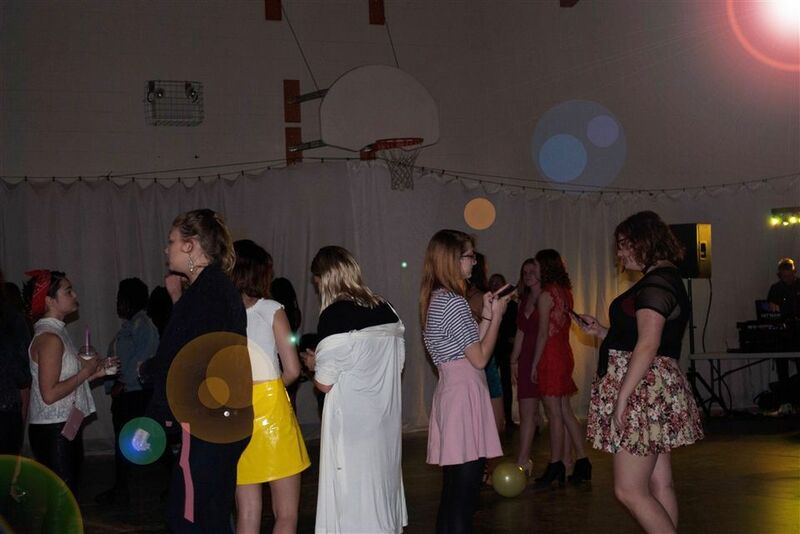 The DJ provides the lights and sound system for a great dance in the Grier gym. 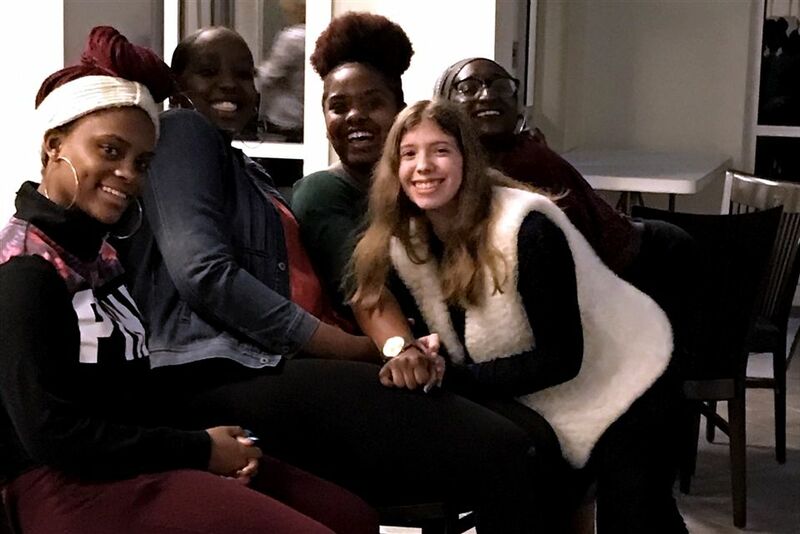 Kaliyah, Kami, Yazmin, Kayla and Kelly hanging out at the social mixer. The Grier girls are excited for a fun evening of games and socializing!